Pastel is a wonderful medium of art with rich and vibrant colors. They are soft and subdued and one can create many interesting and varied textures by blending and layering pastels. 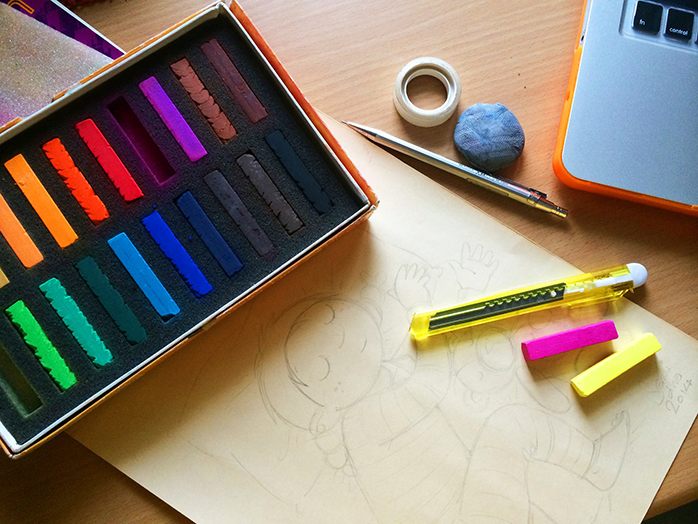 Pastels are in the form of stick made up of pure powdered pigments with water and binder. There are two types of pastels- Oil and Soft chalk pastels. The techniques used for both pastels are similar but final output is uniquely different. Pastel is a dry medium and its color effect is closer to the natural dry pigments. Depending upon binder used, pastels are available in different forms like soft pastels, pan pastels, hard pastels and pencil pastels. In addition to that oil pastels and water-soluble pastels are also available. As pastel itself is a dry medium, the color won’t change after it has been applied nor it will fade, crack or yellow over the time. Because of its unique effect and vibrant colors, pastel has been a popular medium among the artists since 16's till today. Many excellent artists around the world use pastels as their primary painting medium.